Islam dominates the news, often in stories filled with images of violence. Yet these disturbing images are at odds with a faith that most adherents--who now number over a billion worldwide--would regard as no less pacific than Buddhism or Christianity. Indeed, the word Islam in Arabic means "self-surrender" and is closely related to salaam, the word for peace. 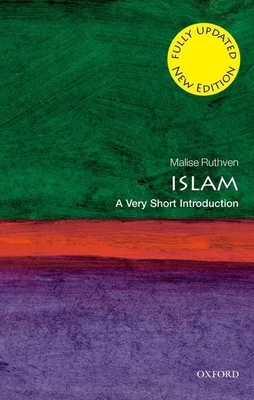 In this thoroughly revised new edition, Malise Ruthven offers a balance, compact, and reliable overview of Islam. An internationally recognized authority on Islam, Ruthven offers essential insights into this major world religion, examining such issues as why Islam has such major divisions between movements such as the Shi'ites, the Sunnis, and the Wahhabis, and the central importance of the Shar'ia (Islamic law) in Islamic life. He also provides fresh perspectives on contemporary questions: Why is the greatest Jihad (holy war) now against the enemies of Islam, rather than the struggle against evil? Can women find fulfillment in Islamic societies? How must Islam adapt as it confronts the modern world? For the new edition, Ruthven brings the text up-to-date, shedding light on some of the most significant changes in the Muslim world in recent years; from the emergence of al-Qaeda and the attacks on New York and Washington on 9/11 and the ensuing wars in Afghanistan and Iraq, to the uprisings in the Middle East and North Africa. Ruthven includes a new chapter on "Globalized Islam," which examines the effects of economic globalization, the impact of international events in Middle Eastern countries, the questions surrounding Islam and democracy, and the reception and perception of Islam in the West. Malise Ruthven teaches at the University of Aberdeen in Scotland. He is the author of Islam in the World, a highly acclaimed overview of Islamic faith and history, and his reviews, essays, and blogs appear regularly in the New York Review of Books.